"When you're out on the street it's like, OK, I've got one clean set of clothes. I've got to go find a place to do laundry, I've got to find money to put in the machines," says Steve Kraft. For nearly a year, Kraft slept in the alley behind the Starbucks in downtown San Mateo. He ended up there, he says, by drinking himself out his job, and then out of an apartment. "I ended up losing pretty much everything," Kraft says. Today, he lives in a dorm-size room at the Vendome. He still remembers his first night here. "The first thing I did, I went and took a shower because living on the streets you don't get that option every day," Kraft says. Finding a solution to homelessness is a struggle for every Bay Area city, from large to small. San Mateo says it has found a way to help get its chronically homeless residents off the street by giving them a place to live. 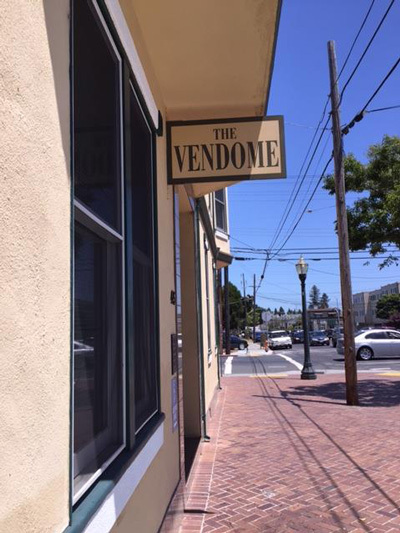 The Vendome is an old hotel the city of San Mateo bought 10 years ago and converted into an apartment building. It was created for people who have been homeless for a decade or more -- some causing problems downtown. "These people were extremely problematic," says Steve Carey, project manager of the Vendome. "One lady would literally shower in front of the movie theater. Take off her clothes and take a shower." Carey says that before the city took on the problem, there were about 30 chronically homeless people within a four-block radius. Today that number is more like two or three. "They lost some dignity, they've lost who they are, and we get to give that to them. It starts with a room, but that's just the start," Carey says. The 16 residents who live at the Vendome have access to health care and counseling through the homeless outreach organization LifeMoves. And they can live there for the rest of their lives if they want. The residents pay rent based on their income, but most of the cost is subsidized by the federal government and donations. The Vendome also works in partnership with the Police Department and other city services. 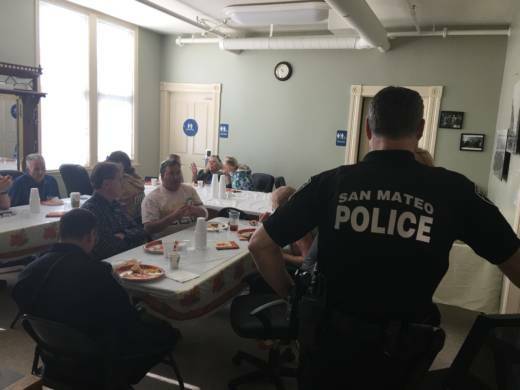 San Mateo police Officer David Johnson is one of four officers who walk the streets every day, identifying people they can direct to services -- like the Vendome. Jail or a psychiatric ward is a last resort. "You know a lot of times when you're on patrol you're just kind of a Band-Aid," Johnson says. "With this position, I was given the time I need to actually make long-term solutions." Brian Greenberg, LifeMoves vice president of programs and services, says that while the Vendome is a great example of a solution, fighting homelessness is not a one-size-fits-all solution. San Mateo is relatively small in comparison to places like San Francisco, and the Vendome specifically houses chronically homeless individuals in the downtown core. But Greenberg believes there is still a lot that other cities can learn from what works here. A decade ago it was a contentious idea -- the City Council had to get buy-in from residents and business owners. "I think it's a model for each community really taking proprietorship over their unsheltered population," Greenberg says. It's something that NIMBYism doesn’t always make possible. Greenberg says that in Silicon Valley a significant portion of the homeless population travels from city to city in search of services. "The more communities step up and say we're going to find the right solution for our city, then you can really positively and visibly impact homelessness," Greenberg says. This will be Steve Kraft's third year living at the Vendome, and now, he says, he has the clarity to think about his future. Maybe one day, he’ll move to Reno. "It's cheaper up there, they've got baseball up there," Kraft says. Getting off the streets, he says, has opened his mind up to think beyond day-to-day survival.